For a smaller space, try IKEA’s smaller Expedit shelving unit which you can turn horizontally to create a smaller and lower divide. 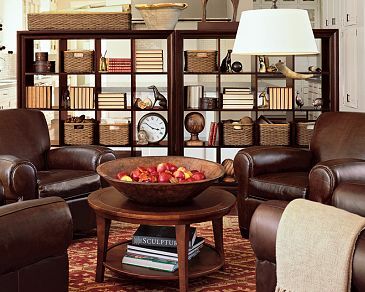 Having no backing allows you to divide a room while still maintaining the feeling of space and openness. However, if you already have a bookcase that has a backing, but still would like to use it to divide a room, try hanging a picture or mirror on the back to give the illusion of space. Add mirrors to customize and personalize your bookshelves. 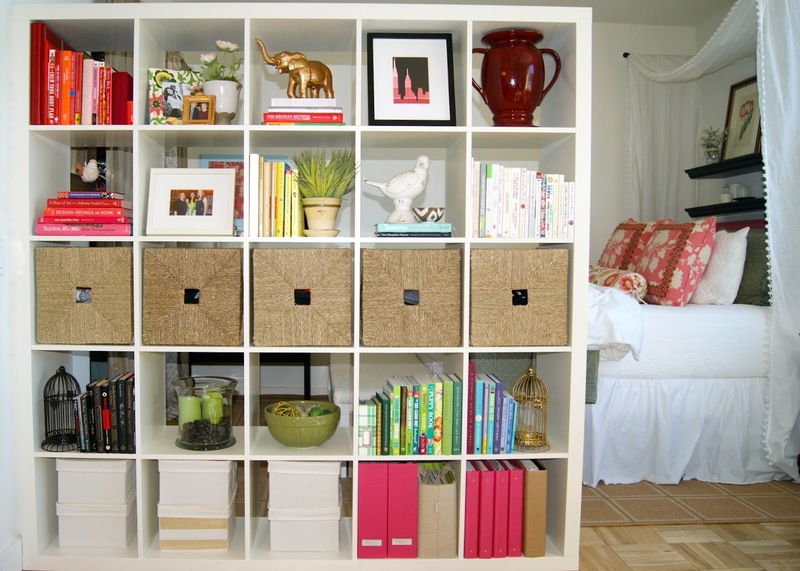 Add baskets to create additional storage and hide clutter on shelves.